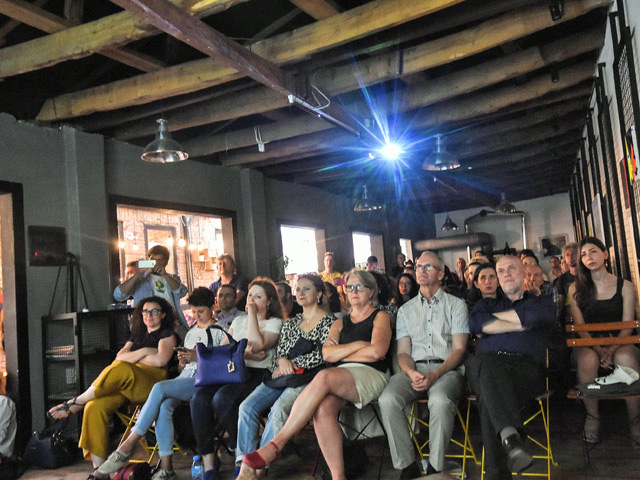 Nearly 100 activists, civil society representatives and film buffs packed the Destil Hostel in Tirana on June 5 for the premiere of the BIRN Albania-produced documentary ‘Free Flow’, which was directed by documentary film-maker Elton Baxhaku. The premiere was held on World Environmental Day, in an effort to underline the importance of documenting the efforts of local communities to protect the environment and their way of life. The documentary covers the decade-long grassroots struggle of local communities, activists and civil society organisations against hydropower plant projects that threaten the environment, the water supplies of local communities and their livelihoods that are based on sustainable tourism. In the past two decades, the Albanian government has approved over 500 hydropower plant projects on its rivers and streams, which environmentalists say threaten some of the last unspoiled river systems in Europe. The documentary focuses on three areas, the Shebenik Jabllanica National Park, the Vjosa River and the Valbona National Park – following local villagers, community rights activists, scientists and artists as they struggle to voice their concerns over hydro power plant projects, challenge concession contracts in court and protest in the streets to encourage support for their cause. Elton Baxhaku is an acclaimed Albanian film-maker, best known for his 2014 documentary ‘Skandal’ and the 2016 documentary ‘Selita’, which was co-directed by Eriona Çami.